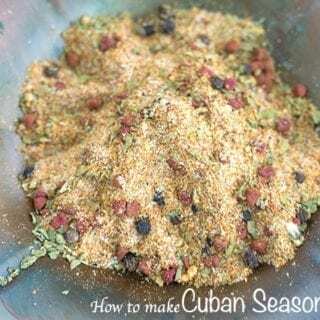 Add a Latin kick to Your Meals by Using this Homemade Cuban Seasoning. Its Quick, Easy and Has A Long Shelf Life. The Annatto Seeds are the Perfect Base for this Spice. Other than the Annatto seeds, I had all the other ingredients at home. Oregano, whole peppercorns, cumin powder, garlic powder and onion powder are always present in my spice drawer, so, I thought I should try blending them together. The annatto seeds were not hard to get. I just popped into my local grocery store and they had them in their spice section. Also, if you have a local Cuban market or store, they sell them too. I can’t get over how cute the Annatto seeds look. They are like tiny chocolate chips, right? They are actually a little woody textured and have a strong spice to its taste. Its flavor is immediately noticeable to my taste buds now that I have tried them. I am really kicking myself for not trying it sooner. 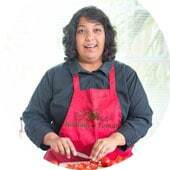 But, now that I have tried it, I am putting it in so many curries and other recipes. I really want to try it in a smoothie recipe because it has a slight peppermint taste. This has to be my favorite Vegan Cuban recipe. The Ropa Vieja turned to be really flavorful and hearty. 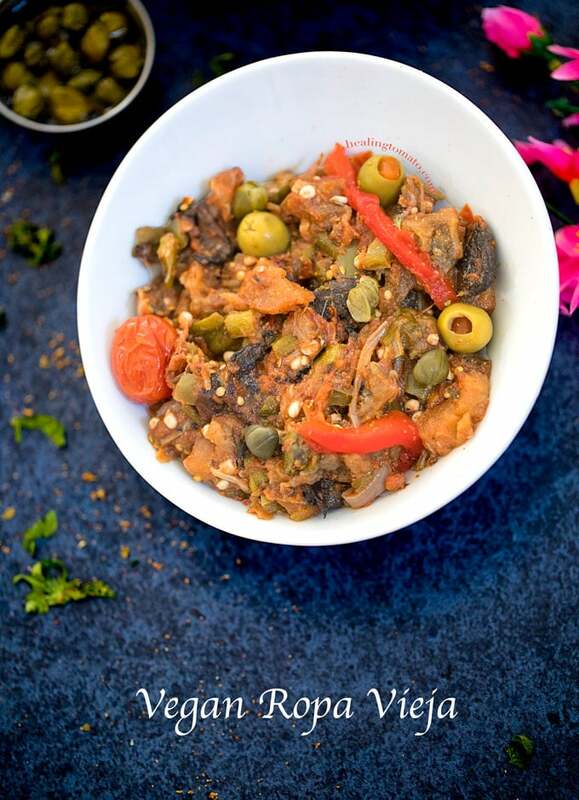 I used pulled eggplant and okra along with other ingredients to make this recipe. You won’t believe how good it tasted! 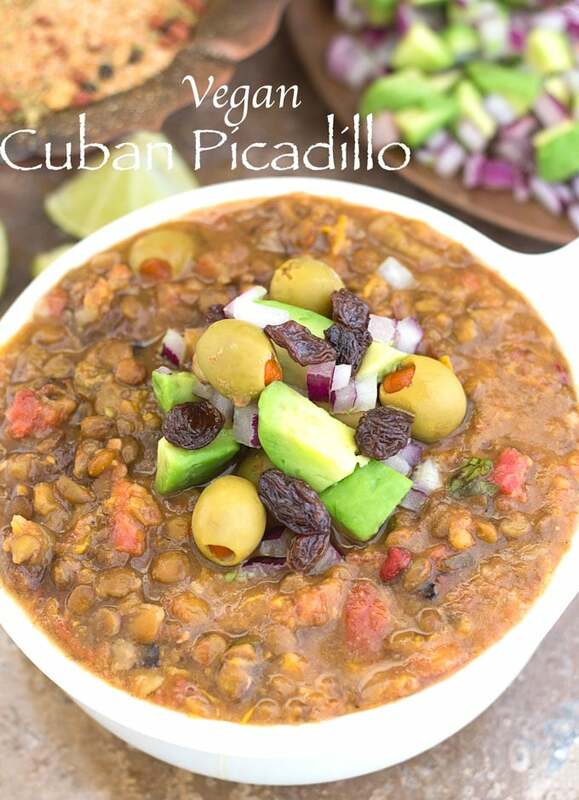 This vegan cuban picadillo was my first recipe using my new pressure cooker. Even in my wildest dreams, I didn’t think it would turn out this good! All thanks to the pressure cooker and an amazing Cuban seasoning. 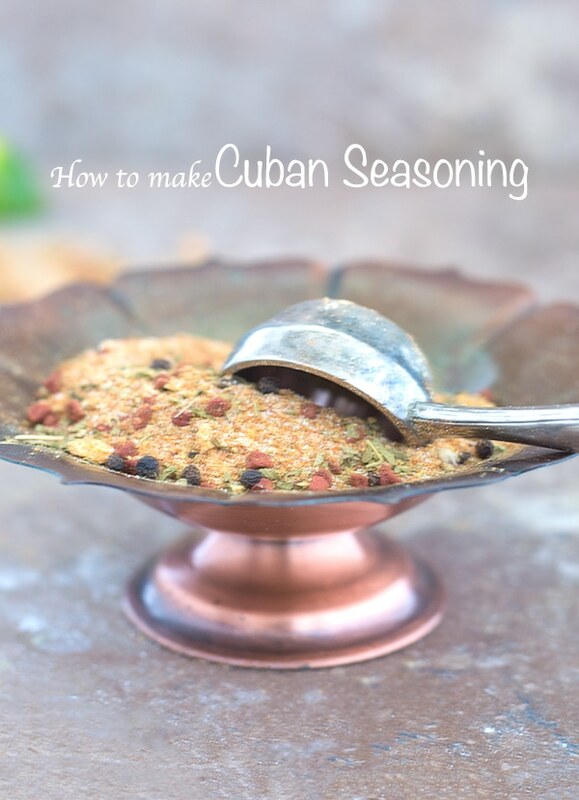 I made Cuban Sofrito using this seasoning and it was so good. I used it in my Cuban Bowl for Bowl Me over which was beyond delicious! The sofrito works as a base in so many wonderfully delicious recipes. 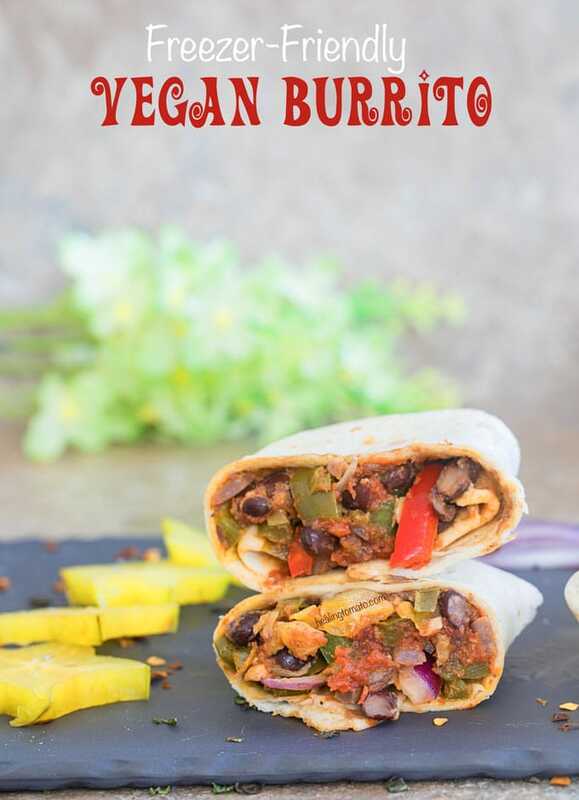 These vegan Cuban burritos are freezer friendly and they are perfect for back to school lunches. You will taste the Cuban seasoning in it even after 1 week. 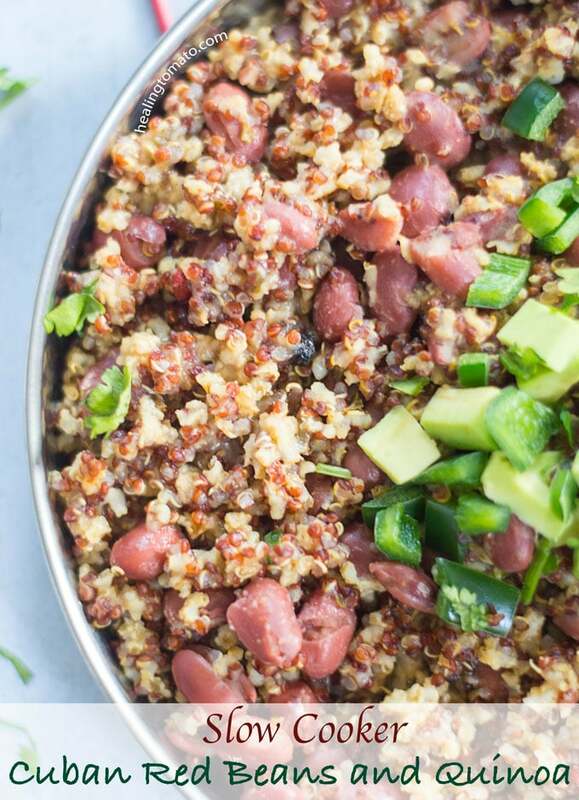 I made this quinoa and red beans in the slow cooker which cooked it to perfection. It’s a really delicious side meal or main course. 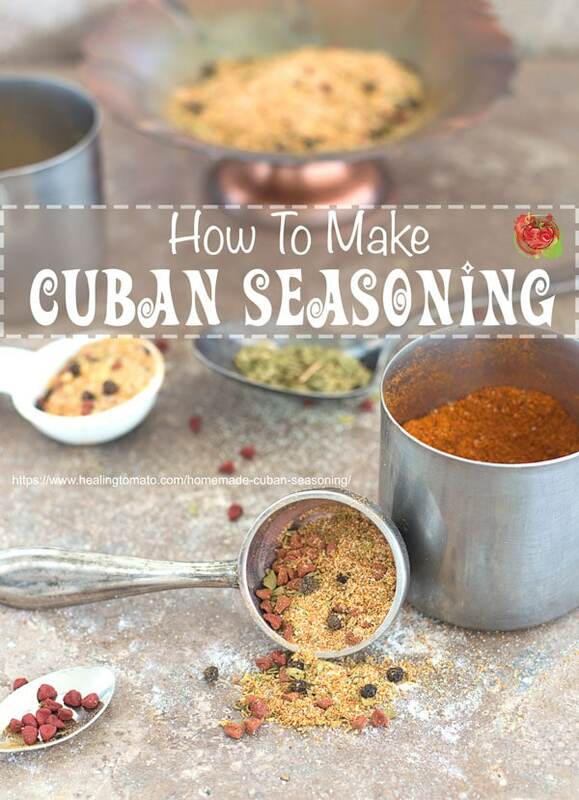 Add the cuban seasoning for a flavorful meal. What recipe do you plan to use this homemade Cuban spice in? 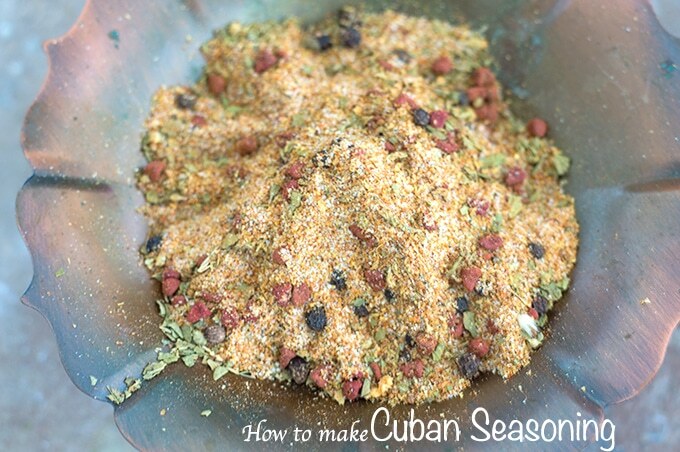 A quick blend of spices for your Cuban flare recipe. Transfer to bottle as is or grind it first before storing. - I used a blend of coriander and cumin powder in this recipe. If you don't have it, you can use regular cumin powder. -The video shows that I used 1/2 of a tsp of garlic powder. However, I went back and added a little more but didn't record it. Annatto seeds do look like chocolate chips, haha! 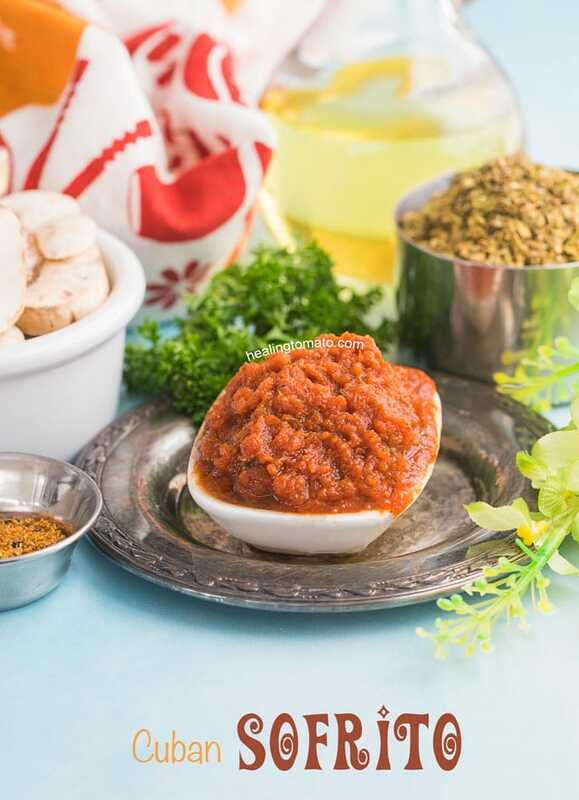 This spice dip though, definitely NEED it in my life – relish!